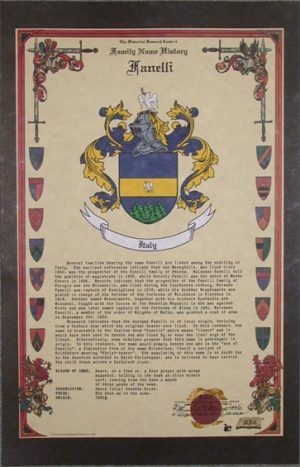 Our Coat of Arms includes the shield and crest that are unique to the family’s name; also the helmet, mantling, family name and country of origin. 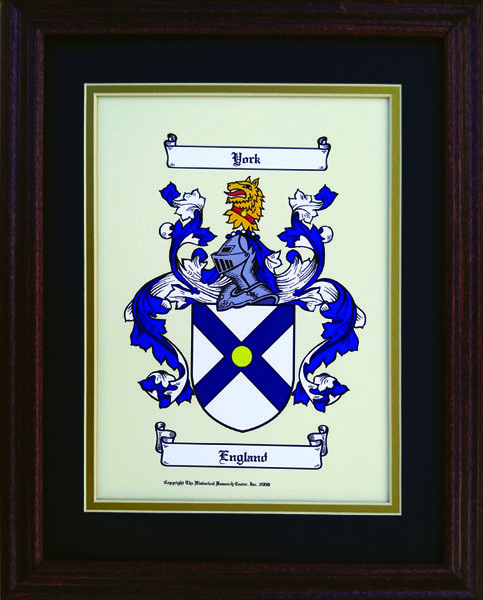 We create these full color graphics-arts prints based on the original translations and superb original artwork created by some of the world’s foremost heraldic artists. They are completely accurate and authentic in every detail. 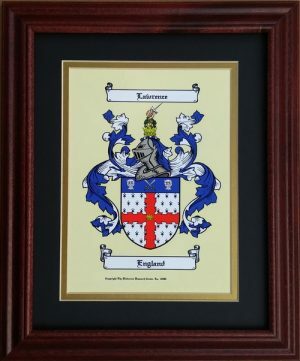 The framed Coat of Arms is matted in a double mat and framed. A hook is already on the back for ease of framing. The current frame style for this item is pictured.